Different productivity techniques work for different people. 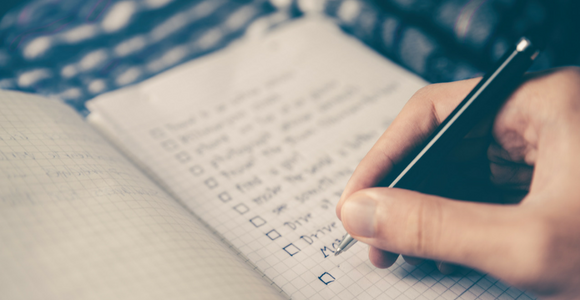 Here are some of the most effective ways to tick things off your to-do list and find some time in your busy schedule – which one works best for you? Using technology in the right way can help you to organise your busy schedule, both at work and in your personal life, to get things done. Evernote is a useful tool that allows you to keep track of everything on the go. It allows you to take notes and save webpages, images and documents all in one place and keep it all in the cloud so you can access it anywhere. You can also collaborate with colleagues on projects in group notebooks and upload and even search through handwritten notes. The Pomodoro Technique takes its name from the kitchen tomato timer (pomodoro is Italian for tomato). It was developed by an Italian named Francesco Cirillo in the late 1980s and involves using a timer to work in 25-minute intervals with five-minute breaks in between. Every four hours you take a longer break of 15-20 minutes. The idea is that, as human attention spans are short, the intervals break up your workload into manageable short bursts making you more productive. This productivity method simply involves doing your worst task first. The saying ‘eat the frog’ came from author Mark Twain, who reasoned that if you ‘eat the frog’ in the morning, you can go about the rest of your day knowing that the worst is behind you. When applied to productivity, this theory implies that if you get your most challenging task out of the way first, the rest of your work will breeze by in no time. Your energy levels and ability to concentrate change throughout the day. Most people have a natural energy cycle of about 90-120 minutes, depending on our individual brain wave frequencies (called our ultradian rhythm). Studies have shown that your ability to concentrate on your work is affected by these cycles. You can take advantage of your own natural energy cycle by identifying which times of day you work best and building breaks into your day instead of forcing yourself to concentrate during your energy dips. Your brain will have chance to recharge and you will return to work feeling ready to work at full capacity again. Sometimes it’s overwhelming when you have a seemingly endless to-do list and you just don’t know where to begin – it can even put you off starting anything at all! One productivity technique that can be used to overcome this problem is to write a to-do list to help you order and prioritise your most urgent tasks and those that can wait. Make a list for each day in the week, prioritising each job by deadline. This will enable you to see your workload for what it is and feel a sense of achievement every time you tick something off, spurring you on for the next task.